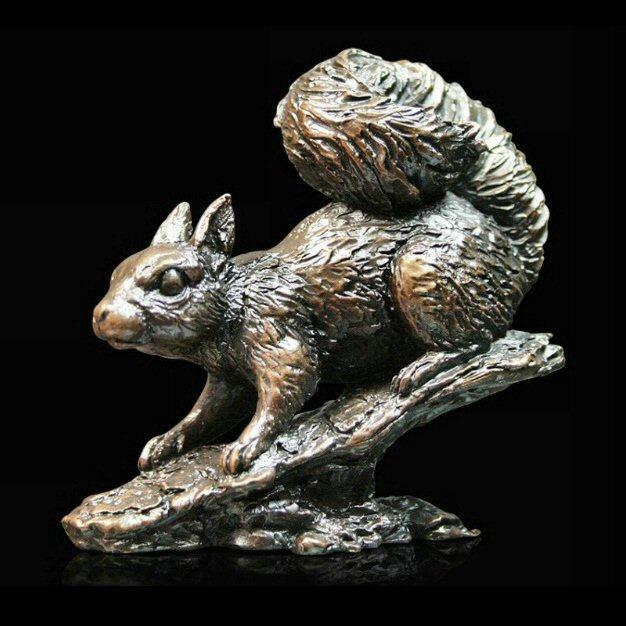 Delightful solid bronze sculpture by Keith Sherwin of a red squirrel. Instantly recognisable by their large bushy tails, squirrels often provide young children with their first encounter with wild mammals. Red squirrels are very clever hunters and are known for being able to take nuts from even the best protected bird feeders. This nimble and quick tree-dweller used to be common across the UK, but are now mainly found only in the Scottish Highlands - the result of competition from the now more numerous grey squirrel, introduced from North America in the 1800s. This finely detailed bronze, limited edition sculpture would a be nice addition to your collection or the perfect gift for a nature lover.